The northern province of Bac Ninh on January 24 granted investment licenses to 6 new foreign direct investment (FDI) projects. 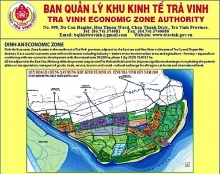 The same day, the provincial People’s Committee also signed land use contracts with 10 businesses to build social houses on 65.5 hectares with total investment of about VND 11.9 trillion (US$511.8 million). The construction of the houses is expected to be completed in 2020-2030, accommodating some 33,600 workers. Deputy head of the local management board of industrial parks Nguyen Duc Cao said Bac Ninh now has 16 industrial parks with investment from 32 countries and territories. They include a factory manufacturing electronic, network equipment and multimedia products of Hong Kong’s Goertek Co., Ltd in the Que Vo Industrial Park with total investment of US$ 260 million. 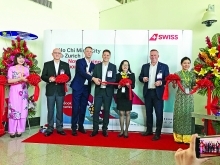 The UK’s Cybertan Investment Corporation poured US$ 9 million into the production of wireless network modules, cable modems and television signal decoding equipment in the Dai Dong – Hoan Son Industrial Park. Others are a stationery factory of China’s Deli Group with total capital of US$ 25 million in the Expanded Yen Phong Industrial Park, and a electronic circuit boards manufacturing factory of the Republic of Korea’s TSE Company with total investment of US$19 million in the VSIP Bac Ninh Industrial Park. Meanwhile, Novatech Co., Ltd injected US$ 5 million into manufacturing products from magnets in the Que Vo III Industrial Park, and Anyone Co., Ltd increased its capital to US$50 million from US$30 million to expand its project in the Que Vo Industrial Park.